We draw your attention to the recipe requirements updates. Some of the recipes require more resources now in order to balance the excess of these resources found on the islands. It seems that we have a bit of misunderstanding about some of the BeastKeeper artworks. Let us clear all of the questions here please. 1. "The items and builduings are hevy referenced/stolen! These are images from Google!" There is no such license type as "images from Google". These images are not referenced/stolen, they are purchased from image stock sites and DAZ 3D. Please get familiar with the EULA of DAZ and the terms of Royalty-free license from Shutterstock. 2. 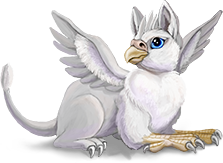 "The baby griffin is highly referenced from Aywas griffin!" Please show me at least one matching line in these 2 artworks. I don't think that if someone draws an animal in a sitting at 3/4 pose, then no one can draw it anymore in this pose. The pose can't be copyrighted. 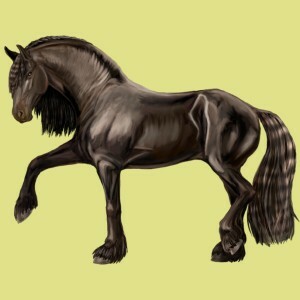 Otherwise it would mean that if someone draws a galloping horse, no one has rights to draw a galloping horse again. You know that it's not true. I had a similar complaint about a year ago, several persons from the pet site were saying that I'm plagiarizing from Kamirah. To have a third-party judge, I posted this as public dispute on WetCanvas. I offer to do this again. This is a highly professional community of artists from all over the world, and I think that their opinions are quite weighty arguments. We're open to your suggestions about another third-party judge too. Edit: By accepting the new pose as an original art and not an art-theft, the users who complained about the baby griffin and Aywas have automatically accepted that the only thing which were "copyrihted" is pose. I will concern this a violation of our rights and an attempt of harassing us in order to create the problems because of the competiton in the same market segment. The pose can't be copyrighted. Please check lawyer answers on here on Avvo.com for a similar question if you're not sure about how copyright works in this case. 3. "The dragon is stolen from a famous anatomical dragon reference!" We provided the credentials for reference author in the Terms and Conditions, and we personally asked him for permission to build our skin art upon his reference. An update will be posted here as soon as we get a reply. Edit from March 9th, 2013. We got a personal permission from Eugene Arenhaus to use this anatomic dragon reference as a reference for our skins. 4. "The author stole pets from art-angel.ru!" Probably you've noticed that we have GMT +2 timezone :) It's my personal site. I posted these artworks there just to show them to people before the game was launched. All of them were created specially for this project. 5. "I’m also 90% sure that I’ve seen the unicorn image before"
Maybe you're trying to remember this image which was a style basis for the unicorn here. 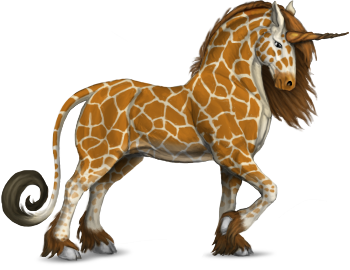 It's one of my horse coats on Howrse browser game. 6. "Who is the author of your logo?" Our logo was made by a hired russian designer Solly. 7. "Your human characters and store images has completely different style! Did you stole them too?" All of our human characters and store images are created by another Russian hired artist Marina Pavlova. We want to apologize for the tutorial glitch which made players stuck on the breeding step. At the this moment the problem is solved. To compensate the inconveniences, we credited 10 to everyone who was stuck on this tutorial step. I hope this will help to smooth over the rough spots. Please come back to the game, our Kingdom is waiting for you! Trading, breeding and pet catching processing are not instant now and can take up to several minutes, so please be patient. This glitch appeared because of the another serious bug which we were fighting for the whole day yesterday. Thanks to the help of our players, we managed to figure out why this bug was happening. Although both of us were very tired and we missed a small but important thing which broke the tutorial. We hope for your understanding. Game team has only 2 developers: coder and designer. We weren't expecting the game to become so popular this fast. Since this is only a beta and it was launched less than a week ago, there's still a lot of bugs and problems, and sometimes we don't manage to solve all the problems fast enough. Thanks for your patience! A bit of explanations between "Help" and "Bugs" boards. When you create a thread in "Bugs", a full dump of your user data is created. If you want to help us in solving the problem, please report your bug when you are actually facing it, and try to make something yourself only after this. For example, do not leave the island if you faced some problem there. We won't be able to reproduce the conditions which caused the bug if they are not in your user data dump. If you create the thread in the "Help" board, no data dump will be created! Please try to post here your questions and issues that do not concern technical problems, and vice versa. All how-to, whats-this, and forum usage issues go here. We noticed that a lot of beginner Beastlords faced a problem with exploring their first island which is left after the cataclysm in the old Empire. The Royal Rescue Service helped these lords with the exploring and showed them way home, giving 10 to cover the losses. We will be happy to see you in our Kingdom again and greately apologize for the inaccurate instructions given you by our herald. He's a trustworthy and loyal old man but sometimes distraction hits him because of the old age. Guardian Forest Monsters are raging for their treasures! Forest Monsters are going furious because of the increasing number of pets belonging to Keepers coming to islands. Guardian Forest Monsters are known for their red color explained by the high content of vermillion in their bodies and their unusual might granted by the same magic substance. They started sealing the treasure chests with their blood in order to protect them from enemies. Somehow they've managed to make these blood seals keep vermillion undissociated outside their bodies. Actually this turned out to be even a better lure for Keepers than ordinary treasures: now every Keeper's pet has a 50% chance to find vermillion in treasure chests! Though the blood seal is very fragile, a traveler with Agile Paws can use his skills and find vermillion with 70% chance. A small briefing for the young Beastlords. The monsters on the islands are of 2 types: ordinary roaming monsters and more powerful guardians. Guardinans always have their treasure behind them, but to get this treasure, the adventurer will have to fight for it with its owner. Here's the visual compare of usual monster and guardian. Do not confuse them, the guardians are considerably more dangerous! Our scientists have found out a new formula which made the Mutagen a lot more effective! They managed to exclude from mutation the genes which pet already has in its genome. But the most important discovery concerns the mutating bacteria itself: now this creepy little thing will add new genes from the pool with equal probability. Even the rarest genes have become reality among the keepers now! Townhall reception room was rebuild for the comfort of the new kingdom guests; several new chambers were added. Meet our new moderator, Fya! Fya said: I can't thank everyone as it would flood the site. So I'll just do it in this post for everyone! Thank you so much, I couldn't hope of a warmer welcome. If I could, I would have hugged all of you. Please post all your suggestions, ideas and found bugs at the Forums. Gold Coins won't be available for purchase in the Beta version of the game. We would like to polish out all the bugs and to know if the game really deserves your attention and interest before taking any money. We grant free Premium Subscription for the Beta phase to compensate this. If you still would like to use the items from the Premium Shop, please check the possibilties to earn Gold coins in our FAQ. Vote for us and get up to 1500 every day. We offer 2 weeks of free Premium subscription for all users upon registration. Every week you have a chance to earn 10 for taking a place among the Top 10 of players in our Weekly Charts. Earn 10 for every referral. Find your referral link on your Account page. Gold Coins are credited after your referral finishes tutorial. To avoid abuse, we allow to get only one referral prize from every unique IP.